Going out of town? Bring your dog to U Lucky Dog for their boarding stay and they'll have as much fun on their vacation as you do on yours! Your dog will play with others in daycare all day, have a well deserved nap, and then sleep in a comfortable room at night. Our staff evaluates all dogs prior to dog daycare or any overnight reservations. 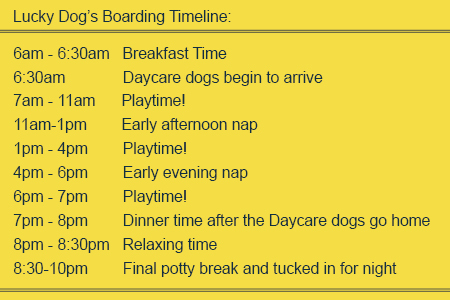 Boarding overnights are available for a limited number of dogs. Please call in advance to make a reservation or submit reservation online. 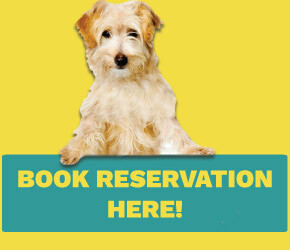 For more information, please contact info@Uluckydogdenver.com. Please read additional important information. Boarders who are not able to play in the playgroup due to medical reasons, social reasons, temperament reasons, not being fixed, etc. $5 a night, per dog.